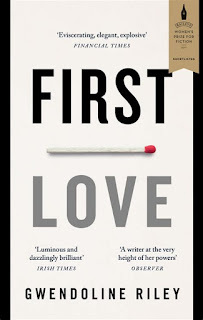 First Love is a study in unhappy relationships. Neve and Edwyn have an uncomfortable marriage. The reader is to expect nothing less as we are told early on that they’d both planned to be alone and married against their better judgment. Neve is a writer with a part-time job to subsidise her income, something which Edwyn seems to consider a flaw on her part, relying on him to provide for her. He is significantly older, has an illness which frequently causes him pain, and takes his frustrations out on Neve and rages against women more generally. As a reader the perpetual question is why are they together. Edwyn claims freedom is the most important thing, something which he evidently feels Neve restricts. Even in the scenes showing their supposed affection the terms of endearment he uses have an unpleasant edge – ‘little compost heap’ and ‘little cabbage’. Later in the novel we see what can only be described as abusive behaviour and Neve’s attempts to cope with his outbursts. In an interview, Riley commented that she hoped by the end you could see that there was something in Neve that drives him to these rages, which is not to say it’s her fault. A complex and difficult emotional situation. We are also show how Neve’s psychological makeup was forged through a challenging upbringing. Her father was a bully and after his separation from her mother forces himself into Neve’s life. He is controlling and sometimes cruel. Edwyn accuses her, during an argument, of relating to him in the same way she did her father. The reader can’t help but wonder if her intimate relations have indeed been coloured by this dysfunctional parental relationship. Her mother also proves to be a challenge. She leads a chaotic life and is needy in a child-like way. She married again but found unhappiness once more and so looks for her next companion, her attempts to date falling flat. Neve tells us that she doesn’t want to end up like her, which perhaps goes some way to explaining why she perseveres with Edwyn. Her mother is an intriguing character, seemingly deeply unhappy yet determinedly optimistic. She mentions in passing sexual trauma in her youth which she claims not to have been deeply affected by yet her reaction to suggestions of sexual desire and her marital celibacy suggest otherwise. Neve is frustrated by her but won’t fully cut her off. 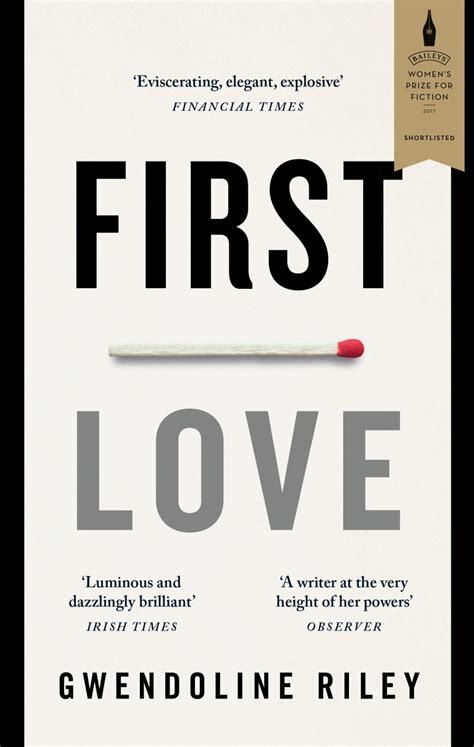 First Love is a powerful, uncomfortable read. The first-person narrative perhaps skews our opinion in Neve’s favour and yet you’re left feeling like you can’t quite pin her down. Is everyone as unfair to her as she thinks, or does she have a deep seated aversion to being relied upon that makes her feel she is being taken advantage of? An intriguing, complex little book.